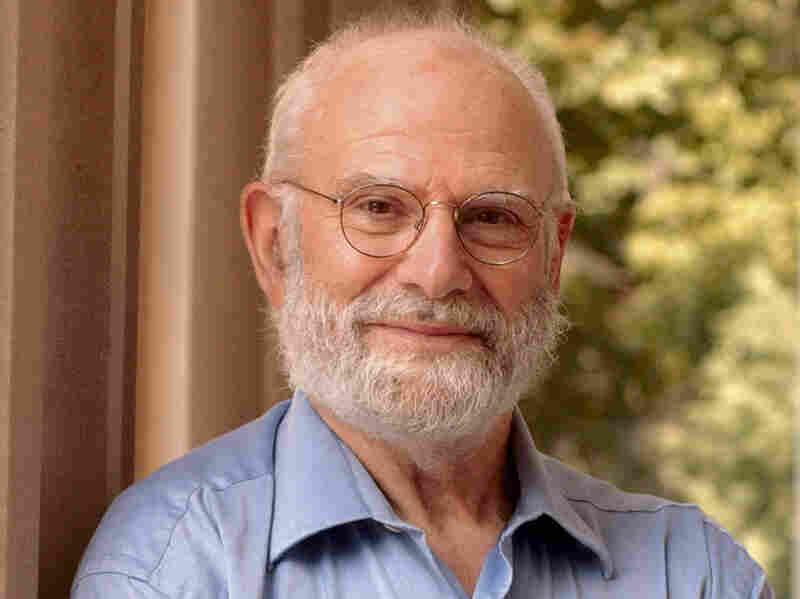 Oliver Sacks On His Burning Love Of 'Fire' Neurologist Oliver Sacks' earliest and fondest memories are of fire — the coal fires of his childhood home, Hanukkah candles. 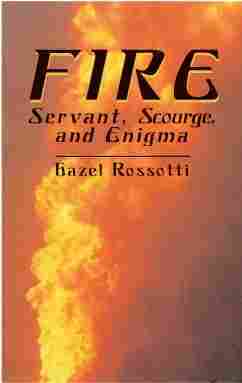 Today he deals more with the firing of neurons, but he still gets his fix through flame-inspired literature like Hazel Rossotti's Fire, about the culture and science of fire. 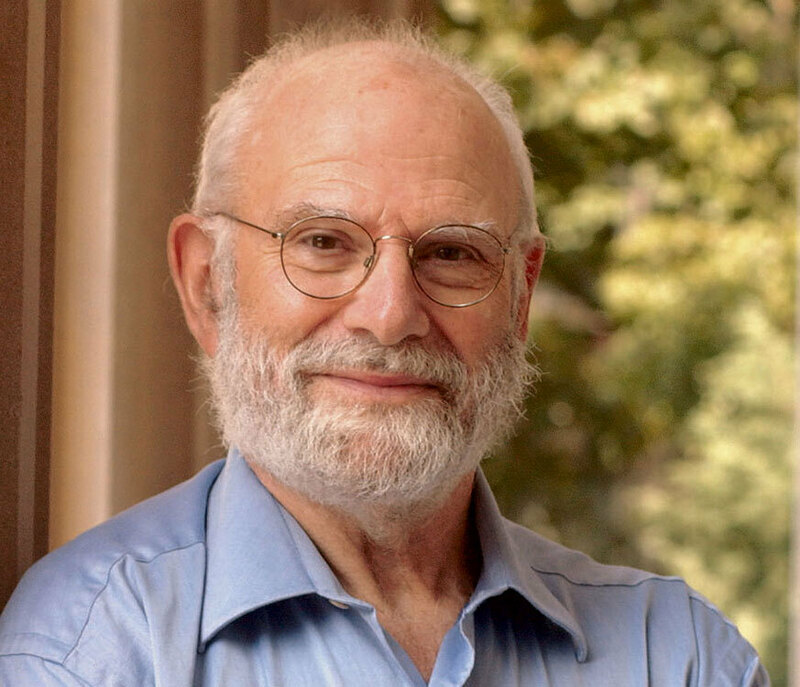 Oliver Sacks is a neurologist and author of The Mind's Eye. Many of my earliest and fondest memories are of fire. In our house in London, in the 1930s, we had coal fires in every room, and I knew nothing more peaceful and satisfying than gazing at the flames, the fiery red and orange colors, and the mysterious blue flames that sometimes hovered over these. Candles, too, were a delight, especially at Hanukkah, the Festival of Lights. But the fiery climax of the year came on Nov. 5 -- Guy Fawkes Night -- when we had fireworks in the garden, and I could hold a sparkler in my hand. When I was older, I was able to set up a little chemistry lab near the kitchen, and there I had my own Bunsen burner so I could make various explosions and set sodium afire to see it burning with a brilliant yellow flame. Now, living in a New York apartment without a fireplace or even a gas stove, I can only recapture the joys and terrors of fire vicariously. I have a whole shelf of books on fire (some of them given to me by a friend who is a local fire chief). My favorite of these is Fire by Hazel Rossotti. Rossotti is a chemist by profession, but she has written books on a variety of subjects: color and diverse atoms -- which I am also very fond of -- and even a guidebook to Greece (in modern Greek, which she speaks and writes fluently). She is a born teacher and writer, incapable of writing a dull word, and as at home in cultural history as in the intricacies of atomic structure. Her book on fire, then, covers every aspect, from the chemistry of fire to fireworks, fire worship to fire-walking, cooking with fire, volcanoes, forest fires, firefighting, iron smelting, and firing clay pots. Nowadays, as a neurologist, I am more concerned with the firing of neurons, and the slow molecular fires that burn in every cell. It is not entirely metaphorical to speak of the fire of life or the fire of inspiration. But secretly, I often yearn for something harsher, more primal: blazing, superheated infernos, devouring sheets of flame, beautiful and terrible explosions. Rossotti's book, which would be best read, of course, by firelight, satisfies this slightly guilty love of fire on every level. Fire fascinates. From nightlight to forest fire, from icon lamp to blazing factory, from sparkler to incendiary blitz, flames draw the eye, be they leaping, twinkling, flickering or inexorable steady. With its power to warm, to light, to comfort, and to destroy utterly, it is little wonder that fire was worshipped as well as used, and that, even today, fire has many religious and social, as well as utilitarian, applications. If the impact of a physical phenomenon on human affairs can be judged by its assimilation into everyday metaphor, then fire must sure have pride of place. We are afire with enthusiasm, burning with fever from inflamed tonsils, fired by ambition, or lit up by passion for an old flame. Smouldering resentment can flare up into anger and lead to a blazing row. Do we consign our enemies to Hell fire or de we heap coals of fire upon their heads? We kindle an idea, fan the flames, add fuel to the fire, and have several irons in it. There is a rumour that a director is under fire, and may be fired; it speads like wildfire, and now the fat is in the fire. (No smoke without a fire.) Next time he'll be more careful; a burnt child fears the fire. His successor will have a baptism of fire; his mettle will be tried in the fire, and he may be reduced to ashes. He's no fireball, but does he have any spark at all? Will he ever set the Thames on fire? Although each of these clichés illustrates some aspect of the received wisdom on fire, totally encapsulates its nature. We learn of fire's need for air, fuel, and an initiating hot-spot; its production of heat, light, smoke, and ashes; and its power as a driving force, both for technology and for destruction. But they do not tell us what fire actually is, nor why one flame can look so different from another. What then is the essential similarity between a candle and a rescue flare, or a bonfire and a gas stove? From these interdependent definitions, we can distil the idea that fire involves gases, consumes materials, and usually emits light; the associated release of heat seems to be taken for granted. Many of us learned at school that burning or 'combustion' involves a chemical reaction between fuel and atmospheric oxygen; the fuel contains a store of chemical energy which on burning is released as heat and light. Most fuels contain carbon and hydrogen and so burn in air to give mainly carbon dioxide and water, which together contain less energy than was present in the initial mixtures of fuel and air. Chemical mixtures will if possible undergo any change which relieves them of energy and so makes them more stable, in the same way that a football will roll down a hill. However, if the ball is lodged behind a stone or hummock, it may need a push to get it going. Similarly, an unlit bonfire will not catch fire spontaneously; it needs a lighted match to give it the small push or input of energy needed to initiate the change. Once the burning has started, enough heat is released to activate and ignite adjacent fuel. In favourable circumstances, combustion is therefore self-sustaining for so long as both fuel and oxygen are available. Although we must extend these ideas about fire, we do not need to unlearn them. Almost all combustion does indeed involve reaction between fuel and gaseous oxygen, usual in the form of air (but see Chapter 11 and 12 for exceptions). Not only does it release heat, often in dramatic amounts, but it nearly always increases the number of particles present. For example, when octane burns, thirty-four molecules of products are produced from two of fuel and twenty-five of oxygen. The resulting increase in the disorder or 'entropy' of the system reinforces the (dominant) effect of heat release in boosting the stability of the products relative to the initial flammable mixture. So we can define fire as a self-sustaining, high-temperature oxidation reaction which releases heat and light; and which usually needs a small input of heat to get going; but we may feel that this pedestrian statement denies fire its true nature by excluding any aesthetic consideration. The descriptive arts have had limited success in the depiction of fire. William Sansom, one of the many men of letters amongst the fire-fighters of the London blitz, bemoaned the inadequacy of pigment to portray emitted light, despite the attempts of many generations of painters, cf. Plate 1. In our time, colour photography, and in particular cinema and television, can capture something of the blaze and flicker, and, despite the lowering of impact by reduction in scale, films such as Gone with the Wind and The Towering Inferno have brought to viewers something of the awesomeness of a large fire. Music has offered some convincing impressions of fire, ranging from the flickers of the final consuming flames of Wagner's Parsifal to the evocation of an Australian bush fire in Barry McKimm's Ash Wednesday. For the novelist, fire provides dramatic incidents on which to peg his plot: for the death of Grace Poole in Jane Eyre; the demonstration of bravery and gratitude in I Am David; for the material destruction in Fahrenheit 451; and for the evolution from play to arson in Eroica from 1930s Greece. But the main gift of fire to the arts is that of symbolism, which covers much of the human experience, evoking desire, passion, sexuality, romance, vitality, curiosity, knowledge, anger, punishment, evil, destruction, purity, domesticity, and comfort. 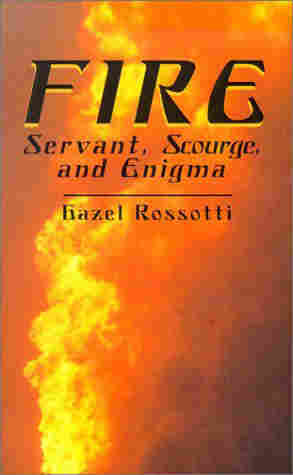 Excerpted from Fire: Servant, Scourge, and Enigma by Hazel Rossotti. Copyright 1993 by Hazel Rossotti. Excerpted by permission of Dover Publications.